Valances . Gates . Arches . Etc. Made in the USA for OVER 30 Years! Master Aluminum products are made with extruded aluminum components, using techniques and assembly methods along with specific production related tooling. This process continues to evolve after more than 30 years of manufacturing experience, allowing for up to date products that you will be proud to display and will enhance the aesthetic look of your building. 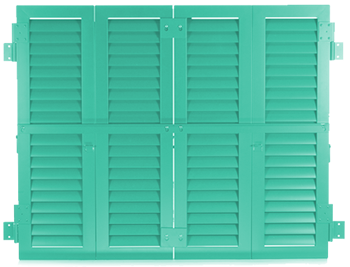 Master Aluminum, established in 1987, is the elite manufacturer of premier aluminum Bahama and Colonial style shutters. We sell our products at wholesale prices to dealers, contractors and builders throughout the United States and the Caribbean. If you want to give your customers quality aluminum products that stand the test of time, you want Master Aluminum products. 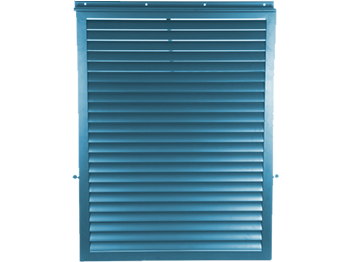 Our ongoing product development and use of specialized tooling enables us to streamline the production process of our shutters. New techniques and assembly methods reduce product cost, increase quality and facilitate the installation of our products. You can take pride in selling our premium Bahama and Colonial style shutters at competitive prices. We sell hurricane-rated shutters and decorative or architectural shutters in either the Bahama or Colonial style, while focusing on design, consistency and product superiority. 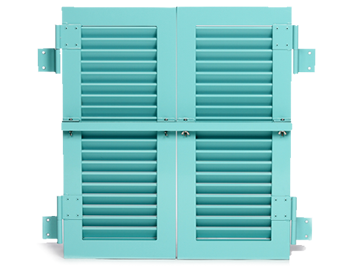 Unlike most company’s shutters that are built with screws or rivets, our shutters are welded together, giving our products greater strength and durability. You are giving your customers piece-of-mind when you sell our shutters.